Many men approach ‘casual style’ from the wrong angle. They veer towards youthfulness when they should be aiming for a maturity that is reflected in classic style. For Spring/Summer 2019, the major runways were a slew of casual looks that were chic, easy-to-wear, and to incorporate into your current wardrobe. Here are definite trends that are visually appealing, easy to wear, and most of all, not difficult to obtain as most of the shapes are ones you are already buying. Berluti is built on 120 years of elegance. The legacy began with a pair of shoes, and over the decades the company gained The Duke of Windsor, Jean Cocteau, and Andy Warhol as clients. 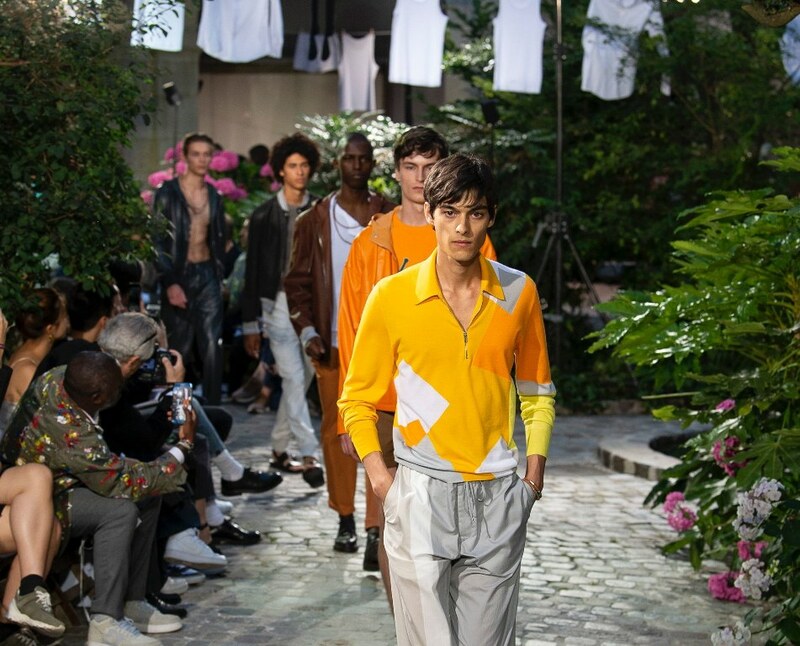 Now youthful and sporty under the guidance of designer Kris Van Assche, the line is traditional sportswear complete with rich colours, clean lines, and substantial fabrics. The rubber decal embossing and occasional skull dangle add a street element without ever having to get your sneakers dirty. This season’s collections were designed by house director Véronique Nichanianwho has been steering the staid Hermès on a ‘clothing is just clothes’ journey. Fabrics are lightweight, silhouettes loosely cut, easy-to-wear, and in a primarily monochromatic palette. Windproof trenches have a decidedly retro feel and are worn with everything from shorts to dress pants. Versatile and practical. Pops of colour – lemon yellow, bright green, and robin’s egg blue – offset the slight blandness of the collection with a touch of fun. Tommy Hilfiger is blowing it out of the water this season with a collaboration with race car driver Lewis Hamilton that plays with stripes and geometrics. Nautical taken to the extreme without the stuffy embossed crests and jackets. Bold, confident, and possibly playing to those who are hot on Hilfiger vintage which is trading online in China and Japan for big money. It will be definitively easier to pick-up these new pieces than trying to source the 1980’s originals. Once more, the American designer is dipping into Nautical collections of the past, and releasing an immensely relatable and wearable collection. It feels familiar and comfortable yet edgy and brash. Pieces include colourful graphics, hooded sweatshirts, lightweight knitwear, the mandatory ‘polo’ shirts, and varsity jackets. All work great together for stylish layering or mixed with a casual blazer and dress shoes for a more sophisticated look. For the man who loves classic pieces but enjoys pushing the envelope when it comes to presentation. With Olivier Rousteing at the helm, Balmain is as edgy as it comes with the luxury labels. Blazers and jean jackets become coats, distressed denim is destroyed, insignia blows up into graphics, and structure is key to holding it all together. These three ‘over-the-top’ looks can be broken down into wearable separates quite easily. Stripes become more muted with solids, and the destroyed denim can be paired with chunky sweater and work-boots. My takeaway from the runway’s for Spring/Summer 2019 definitely keeps it comfortable, have a little bit of attitude, keep colours complementary, and textures interesting.